“Bread gets a lot of bashing these days, especially in light of ‘low-carb’ or Paleo diets. 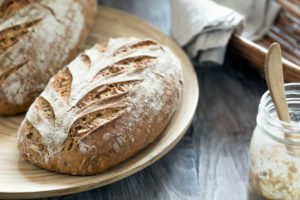 And there is good reason for it—bread (even whole grain bread) contains gluten, and can contribute to inflammation in the body–especially the gut, and even the healthier ‘whole grain’ versions of bread can increase the blood sugar levels dramatically… In fact, some blood sugar tests have shown that 2 slices of “whole wheat” bread can spike blood sugar as high as an equivalent amount of calories of pure table sugar. Apex Health understands the importance of gut health for overall health, especially as it applies to digestion. That is why we developed Aloe Apex with the finest Aloe Vera available, with our patented technology that delivers all the benefits of the plant to the consumer. Learn more here and order here.